Lucy Douglas joined Castle Craig Hospital in September 2013 as Personal and then Executive Assistant to the Chief Executive Officer. 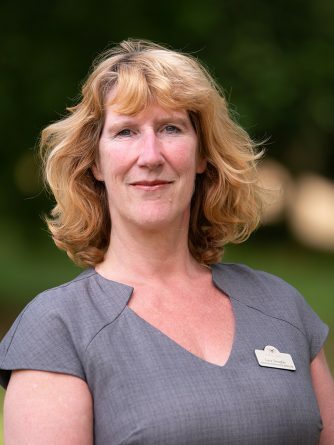 She has also now taken on the role of Assistant Governance Manager, working closely with regulatory and quality assurance organisations on the hospital’s behalf. Lucy has an MA (Hons) in Spanish & South American Studies, and is currently working towards an Advanced Level 6 Healthcare Governance qualification. Her professional career has encompassed a number of positions, including running her own virtual office services business for 20 years, senior media manager in advertising, retail management, managing a government careers website and working for the estate of the former artist and concrete poet Ian Hamilton Finlay. She is inspired by, and committed to, the work that Castle Craig does.